24-Bit/192 kHz Digital 20-Watt Stereo Near Field Monitor. 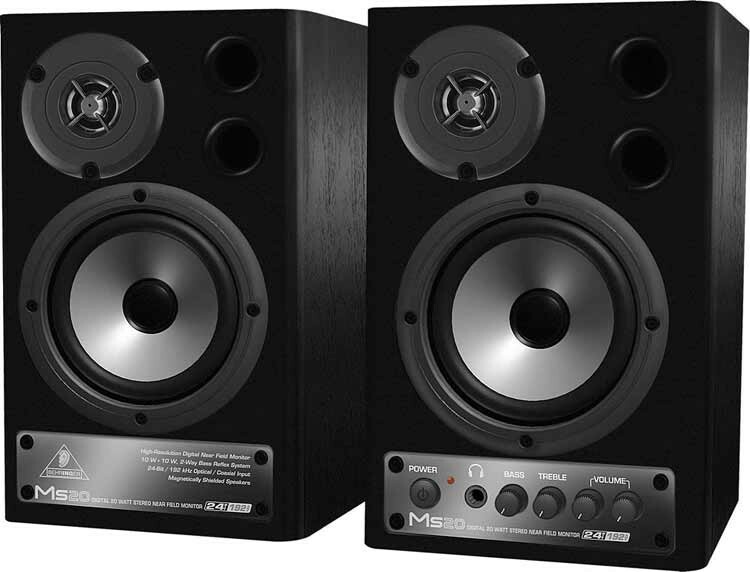 One step down from the MS40, these extremely compact, super-affordable 2 x 10-Watt near field monitors feature ultra-high resolution 24-bit/192 kHz D/A converters, which let you connect digital sources directly in order to eliminate analog line-loss and hum. Connect your computer sound card, keyboard, MP3 & Mini Disc players and enjoy excellent detail and great dynamics—Optical and coaxial inputs to directly connect digital audio sources by S/PDIF interface! 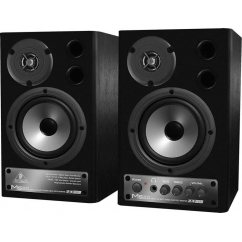 The built-in amplifiers offer plenty of headroom, while the powerful woofers and tweeters provide an ultra-linear frequency response. Two stereo analog inputs featuring 1/8" TRS and stereo RCA connectors can be used simultaneously or mixed with a digital stereo source. 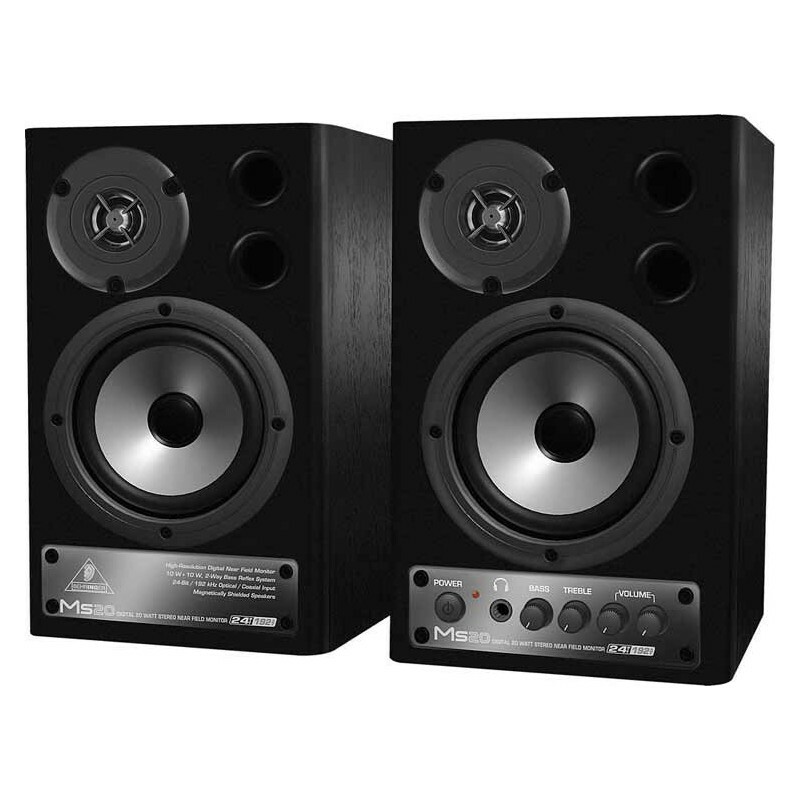 The speakers also feature individual volume controls for both Line inputs plus Bass and Treble EQ controls, and there is a ¼" TRS headphone connector with a front-panel auto-mute loudspeaker function.